Wow! 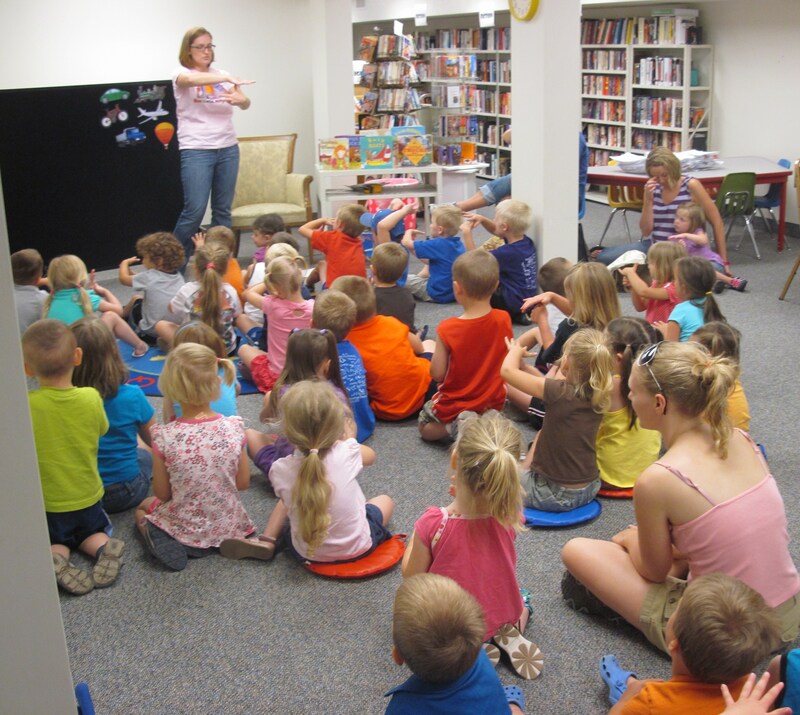 70 children and adults came to storytime again this week! 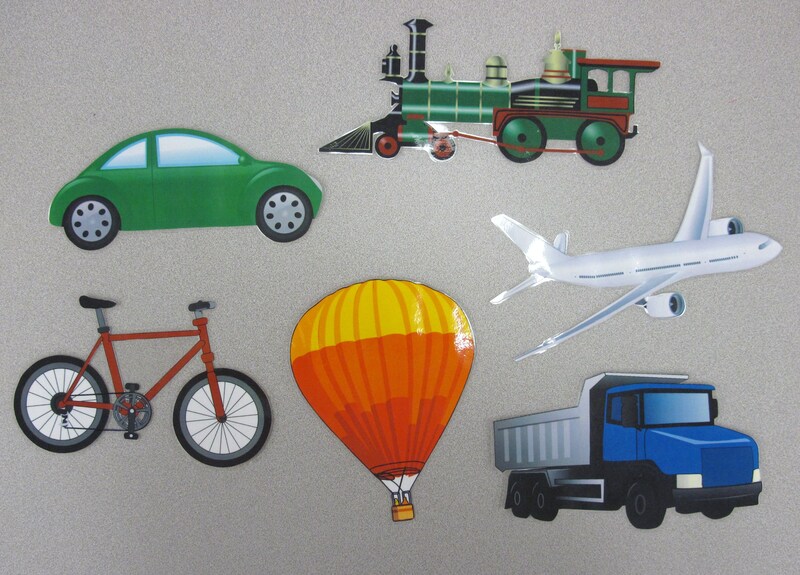 Print my Vehicle Guessing Game CLIPART here. I take you near and far. My horn says honk! And my engine says VRROOOM! Find the rest of the words in Kathy Macmillan’s book Storytime Magic. Sign “Helicopter” as you say this rhyme: Right thumb in palm of Left hand. Left hand fingers spread and shake. Watch a video clip of the sign here. MP3 download: Old Town School of Folk’s album Songs for Wiggleworms. This song has everyone rowing, bouncing, wiggling, and swaying your way down the stream! Have your audience be active participants while reading this book. Have everyone start out by standing and walking in place to board the plane. Then crouch down to get ready for take-off. Everyone stands up with arms out (like a plane’s wings) when the plane takes off. Everyone keeps their arms out while flying over mountains, through clouds, over cities, etc. Then slowly drop down, down, down to the ground for the landing. Up the hills and down. Make the engine roar. VROOOOM! Let’s go to the store. That is how we steer. Make a turn right here. June 21, 2011 in Transportation. Excellent blog you have here.. It’s difficult to find excellent writing like yours these days. I am doing a “construction storytime” this Thursday and I love the steering wheel idea as a craft! How did you have the children decorate their steering wheels, my little ones are mostly 2s & 3s? I think I will use the song too, and just adapt it slightly for trucks. 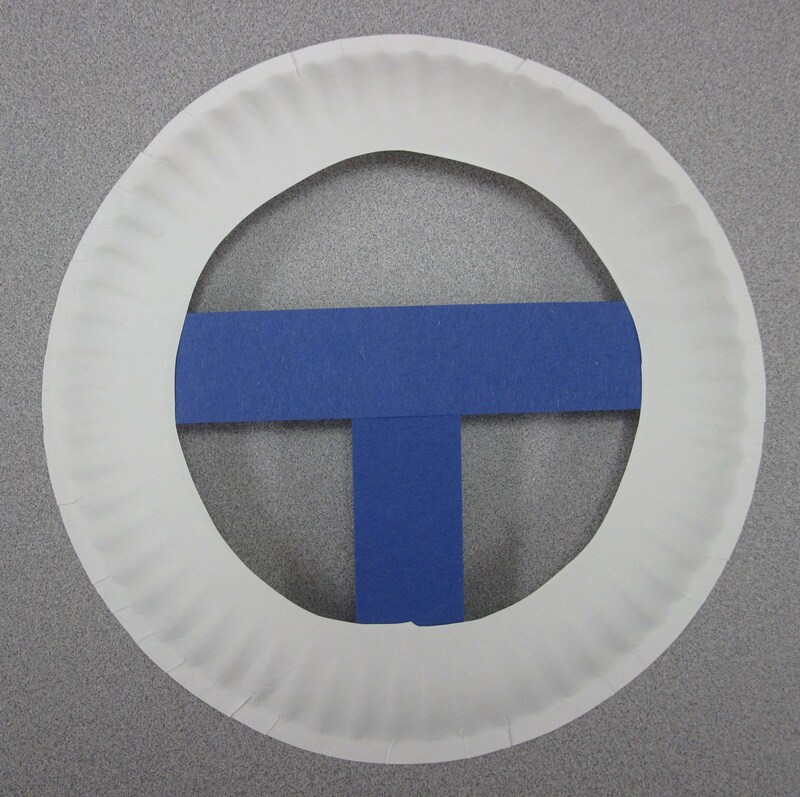 I pre-cut the paper plates (cut out the centers) and the strips of paper. The kids then taped the strips of paper to the paper plates. Then they just colored them with crayons to decorate. Simple! I might have had some foam stickers for them too. Have fun with your construction storytime! Can someone please post all the words to the vehicle guessing game? I can’t find them anywhere and it is so cute!